Oh, these are so nice! 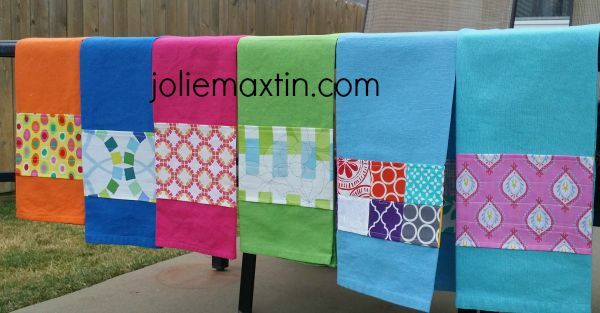 Whose kitchen doesn't need a splash or two of color like these towels? It almost makes drying dishes fun! I especially like the patchwork bordered towel. I'll bet Deb loved them!